I bought Marvel Universe v Wolverine 1 for Christmas, as I’m sure either Marvel Database or comicbookdb stated Kitty was in the issue but now, either claim that she is. I’ve debated it as Wolverine clearly kills brunette that really angers Colossus. The costume is wrong and she is never named, and I’m sure if Wolverine killed anyone in front of Colossus, he would get mad. 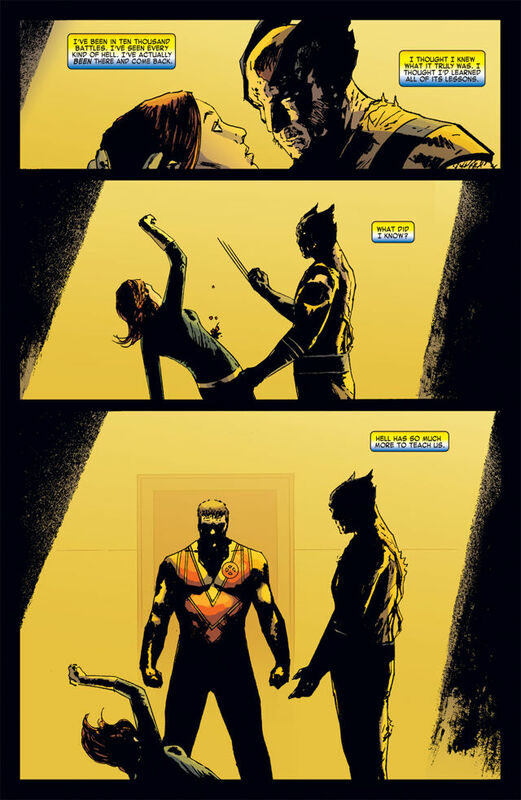 What really decided it for me, is that Wolverine claims he killed all of the X-Men BUT in Marvel Universe v Avengers 1, Kitty Pryde shows up there. She can’t be killed in one and appear in the other so I’m putting this issue on the sell stack to Lonestar Comics – which I’m hoping to do one of these days soon. I wish I knew who he killed though, as I’m sure the writer meant it to be a brunette X-Man and there really isn’t that many of them but none wear like an all black outfit with yellow gloves. It has to be Kitty but the characters are cannibals in this universe and not zombies so dead must mean dead. 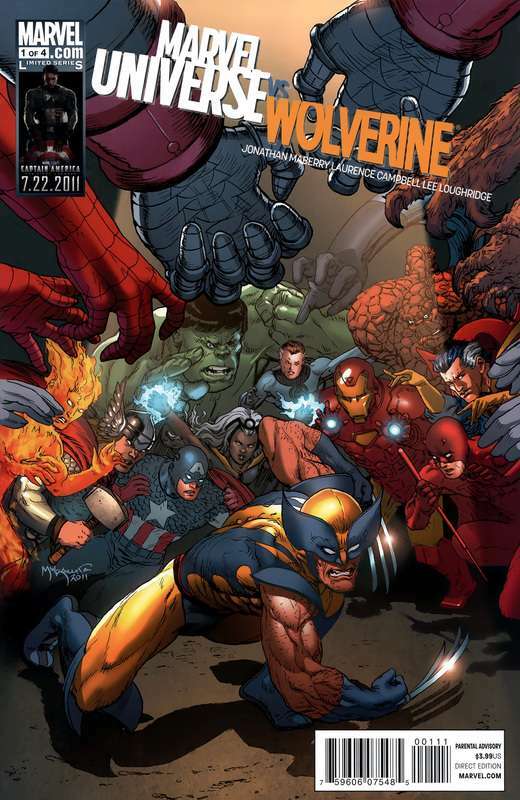 Marvel Universe vs Wolverine / Punisher / Avengers, are all written by Jonathan Maberry, so he must have been keeping track of which characters are dead and which ones had made appearances. Kitty’s appearance in Marvel Universe vs Avengers 1 is on my wishlist, I’ll have to buy that one day and see if any of these dead X-Men are on that list, as that would settle it. Though I don’t know, Cyclops is shown to be dead in vs Wolverine 1 but Marvel Database states that he dies in vs Avengers 1. Now I’m not sure again. So I’m just including it has, it has to be Kitty. What do you think? Whatever X-Man is a brunette woman with a dark blue outfit and yellow gloves? It has to be Kitty, I’m sure of it. I do like the reference to how Wolverine has been to Hell and back, literally and this is much worst. Colossus freaks out and start wailing on Wolverine. Wolverine ends the fight with three claws into Colossus’ head through the throat. Five weeks ago. Wolverine and Colossus are trying to enjoy a hockey game. Suddenly, Spider-Man and Rhino come crashing into the arena. I like how the announcing duo recognizes Spider-Man but not Rhino, that seems realistic. Can people in the Marvel Universe keep track of all of the costumed villains, or do they blend together? One of them does recognize Rhino. To make matters worst, Spider-Man starts chewing Rhino’s face. I like Wolverine’s narration, yesterday was the last normal day. The Fantastic Four have Spider-Man in a dark cell. Wolverine, being the best hero hunter tracker guy, is enlisted to figure out where Spider-Man has been. Reed is experimenting with Spider-Man’s blood, it has been chemically changed. Everyone wants to think that this is an isolated situation. One day, in the sewers, Psylocke and Wolverine are trying to get away with some documents in a briefcase. Psylocke gets to the surface first and is eaten. Wolverine feels pretty responsible. There is a two page ad about all of the different styles the Honda Civic comes in – HF, 44-MPG-City Hybrid, Sedan, Si and Coupe. One hour later. Reed is also on the scene, Wolverine knows this new threat can fly. 24 hours later. Reed explains away what I’ve been thinking this is. I’ve been thinking that this is a lame way to make two Zombie universes but Reed states that Spider-Man is operating on a primitive level, he is a cannibal. Susan comes in, turns on the television and the news reports that Blob ate 25 people at a restaurant. Hours later. Wolverine calls Beast, who tries to explain the science aspect of what is happening. Wolverine only wants to know how he can track whoever is responsible. He can sense something similar about the situation. 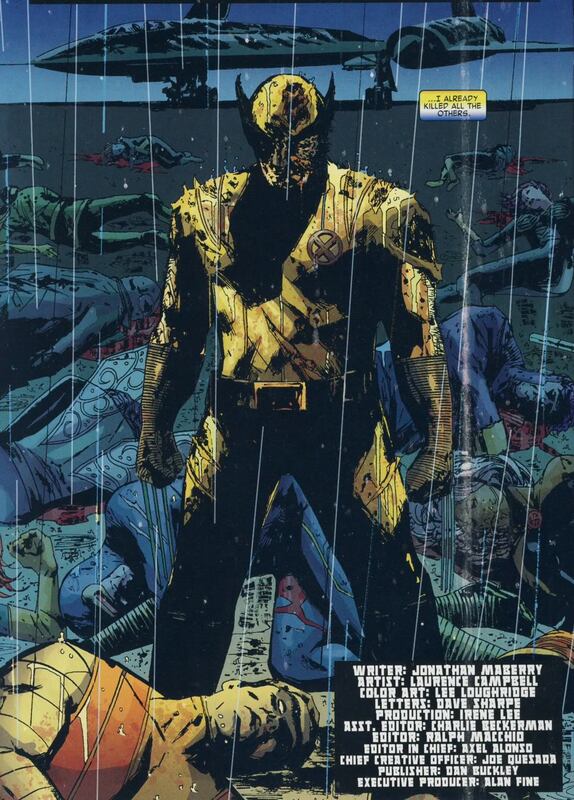 Beast tries to explain that those infected by this plague are also victims but Wolverine considers them dead already. After talking to Beast, Wolverine hears a domestic disturbance. He tackles the man but turns to see the woman is a cannibal now. He takes care of her and the husband gets to raise his baby in a crazy world. It is spreading, people are eating flesh all over the place. Wolverine locks children cannibals into a school bus. An hour later. Hank Pym has joined Reed in researching the plague. They make a point of not calling it, a virus. Wolverine asks how Angel’s research helped. Reed hasn’t received it. Angel should have been there yesterday, Cyclops – on the phone – confirms that Angel did leave yesterday. Cyclops provides a way to track Angel. Which Wolverine does, and sees that Angel is a cannibal – so he ate his ex-girlfriend, Psylocke. 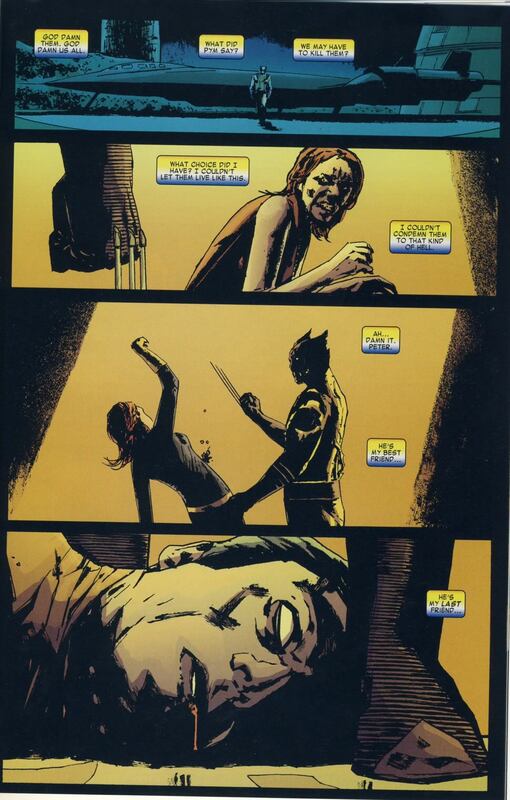 Wolverine wastes no time cutting Angel into four pieces – two wings and across the stomach. Wolverine heads to Utopia and sees that the X-Men have been infected. If that isn’t Kitty in the middle panel (repeated from the first page) could that be her in the second panel? I suspect so! Issue ends with Wolverine killing all of the X-Men, on Utopia. Colossus, Storm, Pixie and Cyclops and several other X-Men that I can’t identify. I hope to get Marvel Universe vs Avengers 1, and if if that issue contradicts this issue and maybe then I will get some answers and sell this issue.